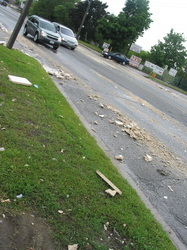 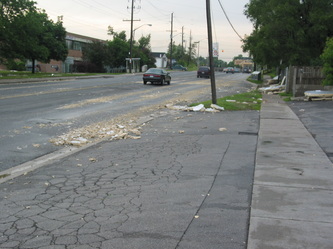 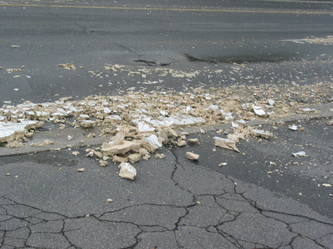 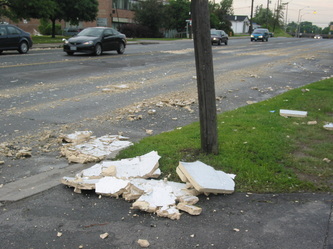 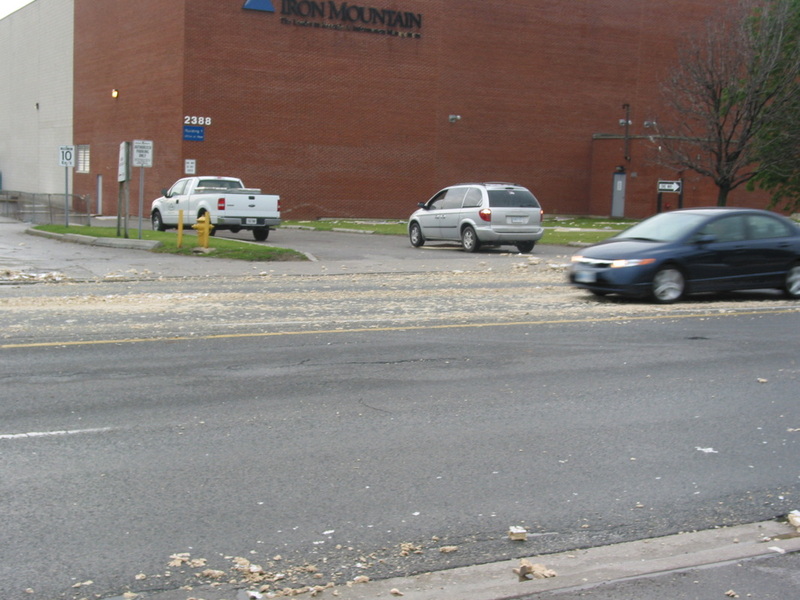 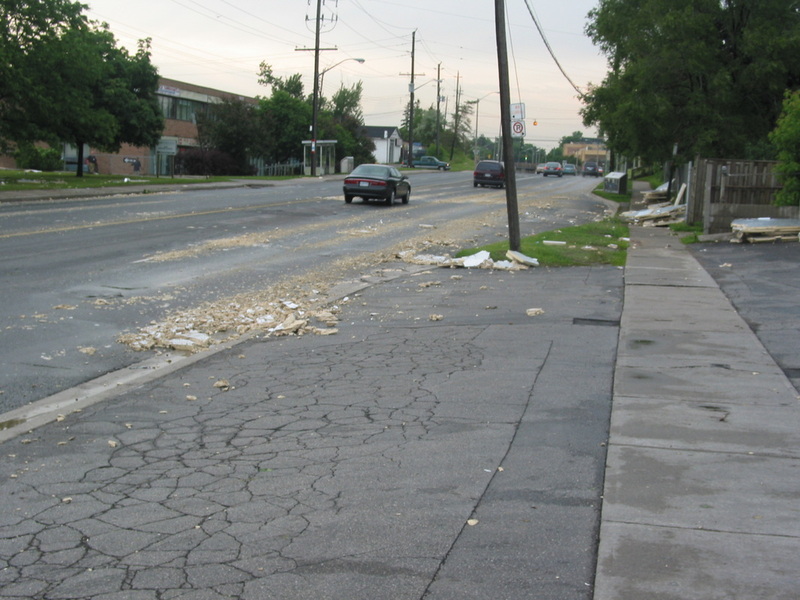 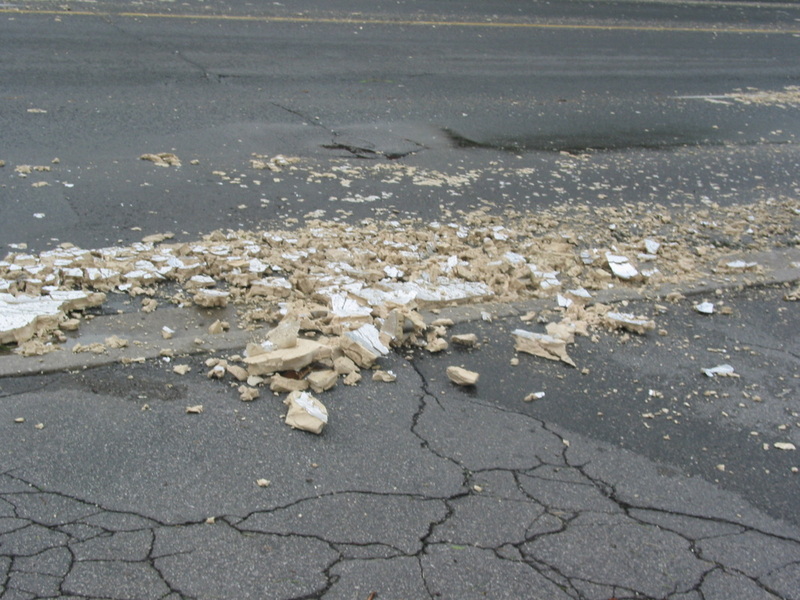 A windy day blew improperly secured insulation material off the back of a truck. 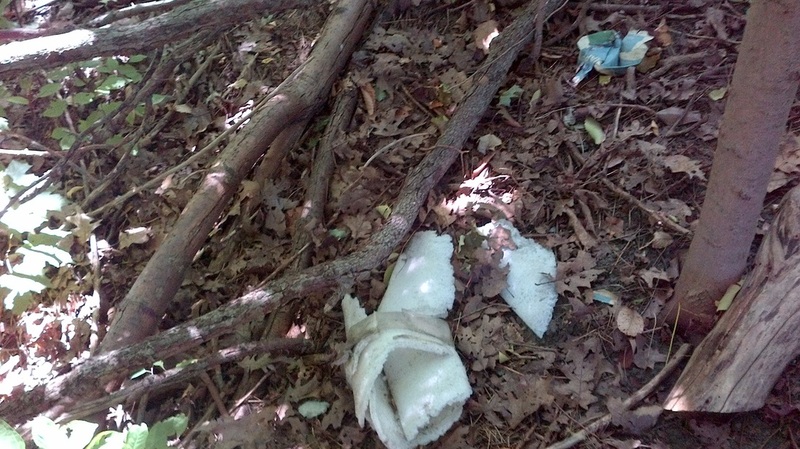 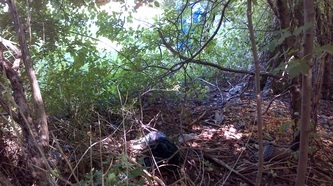 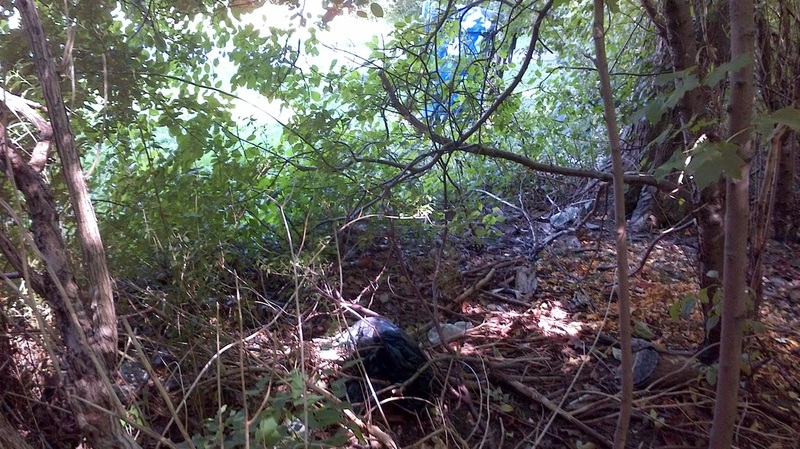 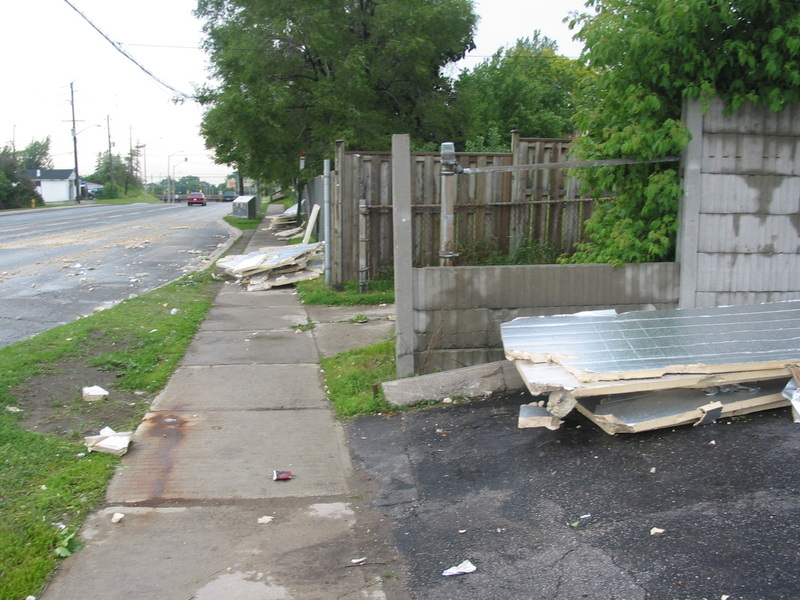 Commercial waste that is not properly housed, secured and bundled is a major cause of litter everywhere. 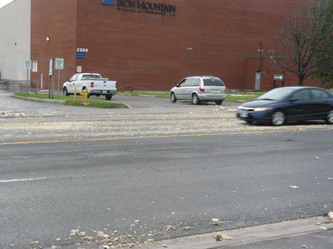 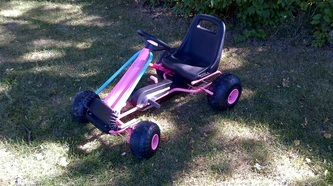 A few extra minutes of care at the start could have saved many hours of expensive cleaning up. 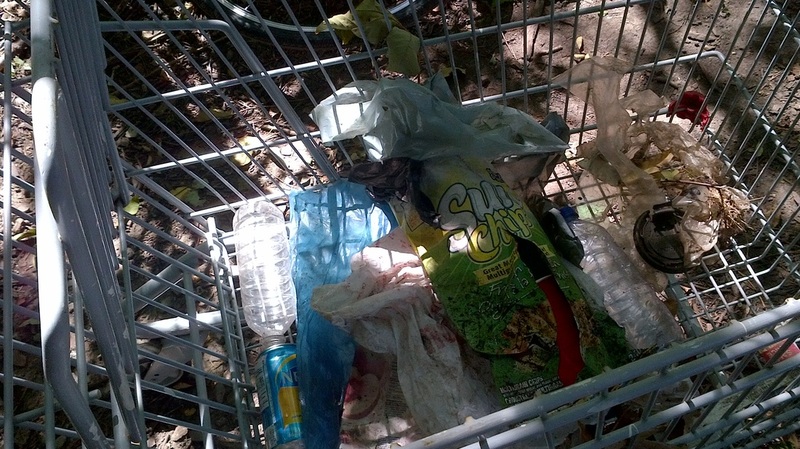 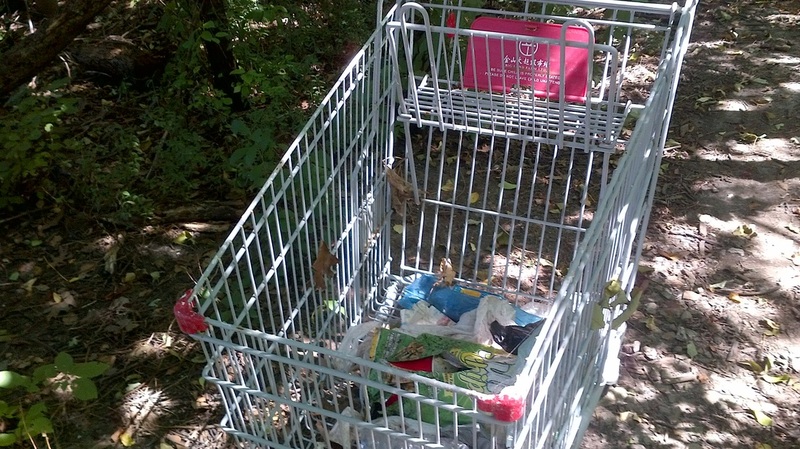 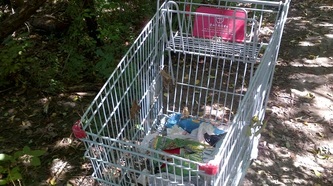 You can send us your photos of litter. We'll publish them along with our analysis and commentary. 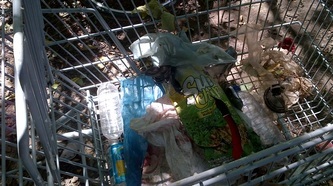 We are litter prevention experts. 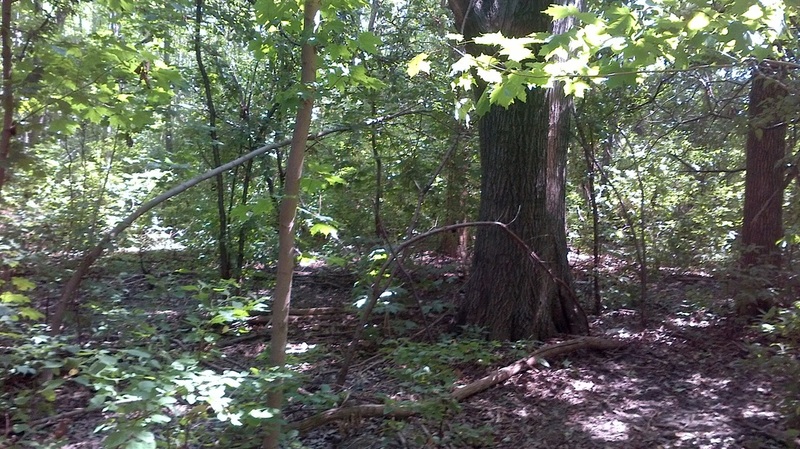 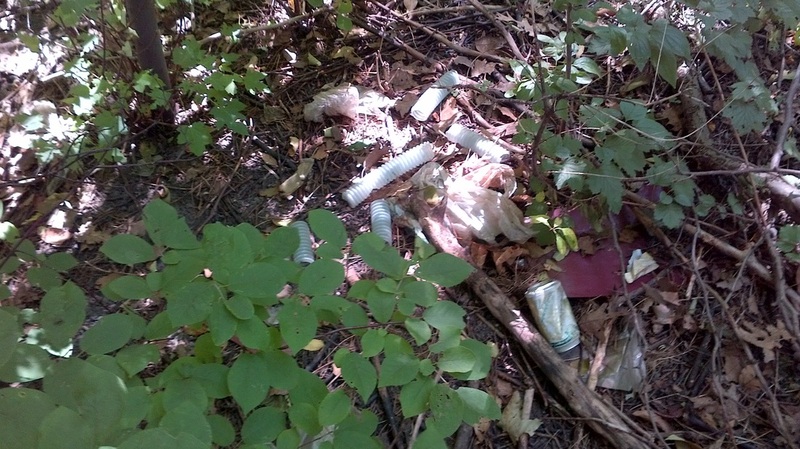 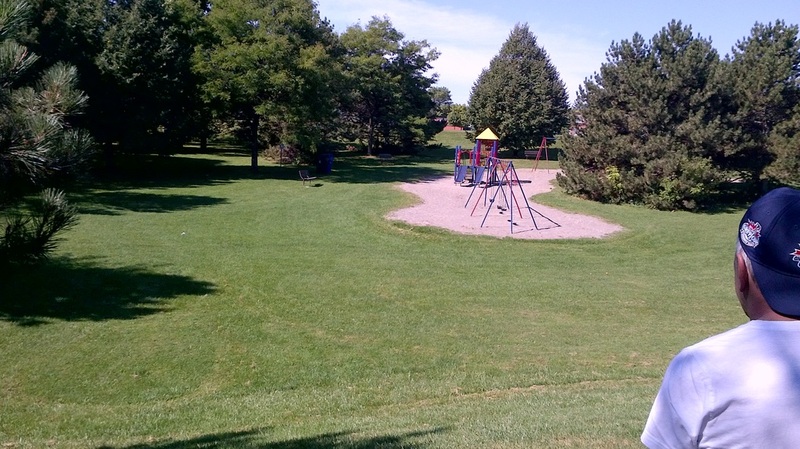 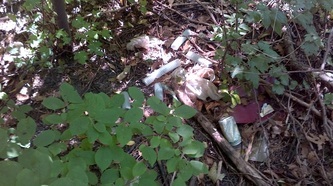 When you are outdoors, please keep shared public spaces free of your mess. 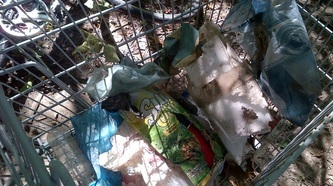 We found a bunch of Chinese food and packaging littered in front of a park bench (three clumps of cooked white rice, chopsticks, wrappers, five containers, a cigarette pack and a big cardboard box). 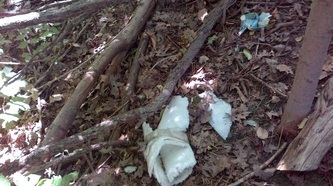 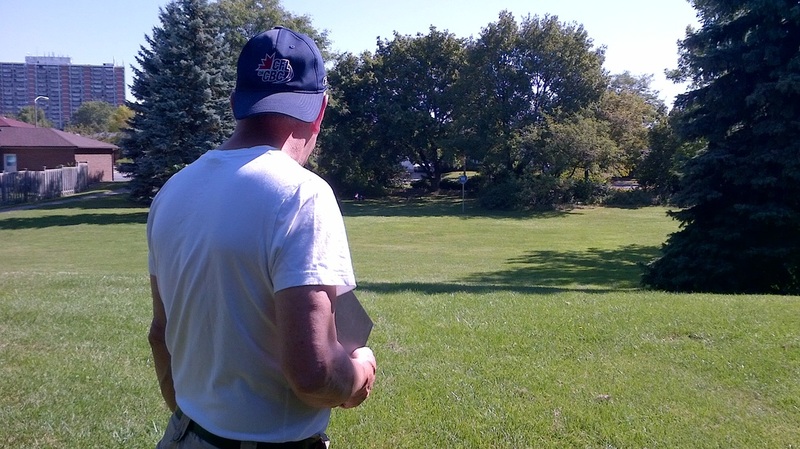 Then we set out to find the nearest refuse containers some distance away. 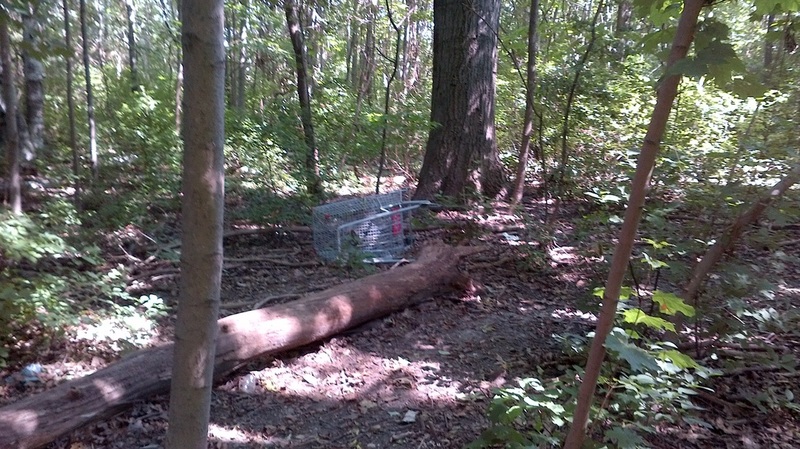 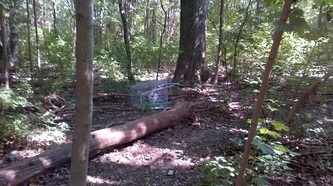 A broken cart also littered the scene. 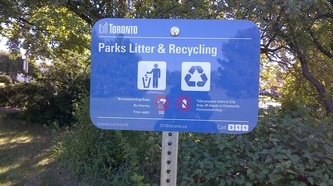 Signs warning of fines seem to be ineffective. Having bins closer to the benches might help people be more thoughtful.